Meet Italy’s Instagram-savvy, charming and ruthless Interior Minister, Matteo Salvini. Mr Salvini, is not your ordinary politician; starting as an outsider, he is now Italy’s most powerful politician. With a far-right, anti-migrant, and anti-European agenda, the kingmaker of Italy’s new populist government is now making his presence felt and has set Italy on a collision course with the European Commission and risks another starting Eurozone crisis. Salvini is the new friendly face of the European far-right and populist wave sweeping the continent. As Interior Minister his record has matched his tough and harsh rhetoric. He’s blocked migrants and refugees from entering Italy, seized refugee ships and has picked a fight with the European Union over Italy’s high budget. Worringly, Salvini is becoming a role model and flag bearer for his fellow populists across the continent. The most recent election in Italy saw the complete destruction of the mainstream left and right parties, and now Italy’s political landscape is dominated by the anti-establishment Five Star Movement, and Salvini’s far-right and anti-immigrant Lega Party, who together acquired over 50% of the national vote, with Mr. Salvini emerging as the ‘kingmaker’. 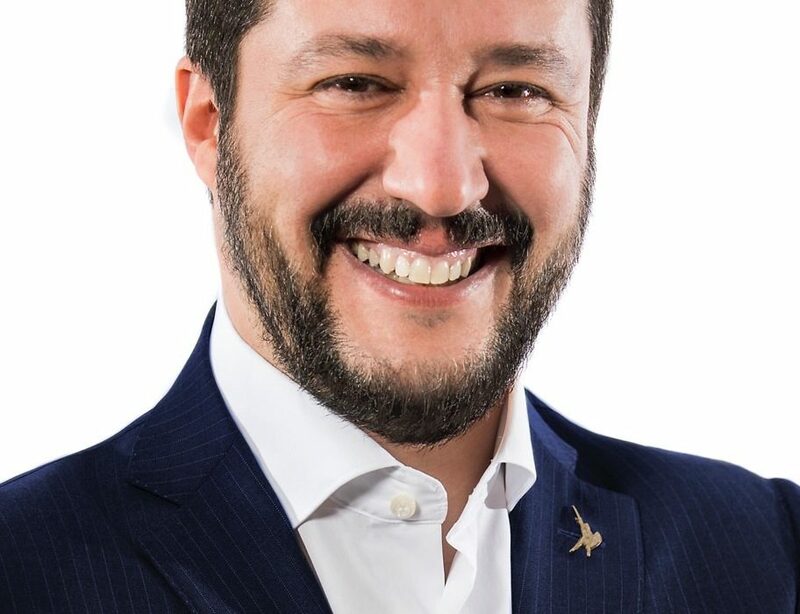 He and his Lega Party have agreed to prop up the Five Star Movement in government, but for a hefty price, with five key cabinet posts and harsh anti-migrant policies being implemented at his behest. Just in line with his nationalist ‘Italians First’ catch-phrase that contributed to his election success. Clearly, Salvini’s Lega or ‘League’ party was the real winner of the most recent Italian election, as it went from having only 4.1% in 2013 to gaining 17.4% in 2018 — the biggest increase for any of Italy’s other political parties. Now it serves as the second largest national party. It has gained a considerable amount for entering government with the Five Star. Despite acquiring 17% of the vote, the Lega and Salvini hold a disproportionate amount of political power. In practical terms, he is just Italy’s Interior Minister. In reality, he is Italy’s de facto Prime Minister and is the real power in the populist government, taking advantage of his less experienced Five Star coalition partners. Now his popularity is surging as a result. If polls are correct, Salvini’s far-right Lega Party look set to become Italy’s largest political party, and they would even overtake the Five Star Movement — quite impressive for a party that once held just 4% of the vote. Salvini is taking advantage of this new-found power. It appears that he hopes to unite Europe’s far-right forces ahead of the elections for the European Parliament in May of 2019. Already, he is forming close links with Hungary’s Viktor Orban and Sebastian Kurz’s — Austria’s right-wing Chancellor. Their harsh anti-migrant and Eurosceptic message is having an impact and is likely to further fuel the rise of populism across the continent. It might be possible that the fall of Matteo Salvini will be as a quick as his rise, but that the moment seems to be far away. For the time being his message of rejecting Europe and immigration seems to be appealing to his audience in Italy and across the European Union. Only time will tell if his message will be successful.